We don't know about you guys, but most of our family gatherings are not what you'd call street-style opportunities. So, we're pretty impressed with this pic from the Obama family's church outing yesterday. 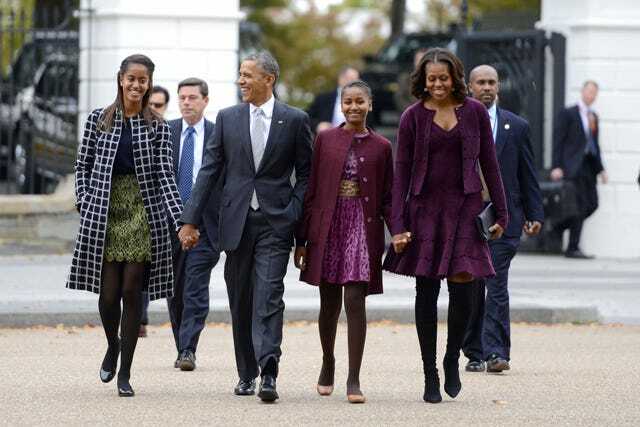 Obviously, Michelle has the classy-meets-fashionable look down, but it's clear that Sasha and Malia have come into their own, sartorially speaking, over the past few years.